My greatest earthly love is musical theater. If I’d been blessed with an especial talent for singing, I’d do anything to have become the next Lea Salonga, the next Sierra Boggess, the next Stephanie Block or Heather Headley. They’re my heroes. Oh gosh. Wow. Just thinking about them makes me kind of breathless and ashamed that I’d ever even think I could be like them. I have no such illusions. But I am planning on moving to NYC or (preferably) London to get into that scene somehow. Anything. I’ll be a stage hand, or a “water-girl”- I really, really don’t care. It’s the atmosphere, and the music, that I want. That I crave. That I live for. 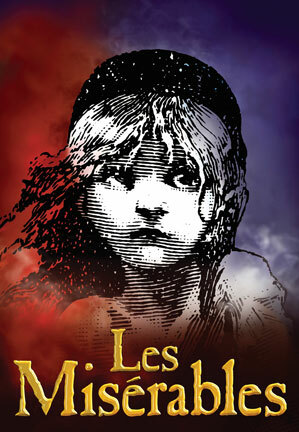 Les Mis is my favorite. The only thing that even nearly compares is The Phantom, and then Aida and My Fair Lady and West Side Story and Evita and Wicked and Miss Saigon are all wonderful. And so, of all the characters in literature, music, and theater, I relate the most to Eponine. I’ve resigned myself to the background-character role in life (that’s not a pity-party, that’s my realization, and I hold to it). I don’t completely mind it- at least I can find a twin in literature, right? So Eponine’s mine. As a matter of fact, in a lot of ways, she’s not my twin, she’s me. In the 25th Anniversary Concert of Les Mis, filmed and (thank God!) put on dvd for my constant viewing, Eponine was played by Samantha Barks. Who was brilliant. A little too pretty for the role, but wonderful. In the 2010 cast, it was Rosalind James. A bit angry, and her voice isn’t my favorite, but gosh can she sing and does she ever have the look down. 10th Anniversary was Lea Solona. Don’t get my started on the epic-ness of that woman. And lastly in my list of notable Eponines, Francis Ruffelle, the original- but she isn’t really my deal. Kinda sounds like she’s been drugged. Anyway. Imagine my sheer delight to find that Tom Hooper – TOM HOOPER – was making a film adaptaion of the musical!!!! I was ecstatic. Hugh Jackman as Valjean? Heck yes. I was hoping for Ramin Karimloo, (my own true love) but it’s the best second. And Russell Crowe as Javert will probably be amazing. Anne Hathaway as Fantine might be good, Eddie Redmayne and Amanda Seyfried as Marius and Cosette will be fantastic, I think. Aaron Tveit being Enjolras MADE MY DAY. TAYLOR SWIFT IS PLAYING EPONINE. I don’t care how much you happy-dance-squeal-jump-for-joy over Taylor’s music, her cool hair, or her numerous boyfriends and the pointed songs she writes about them after the inevitable break-up two months into the relationship. Maybe you think she’s the best thing that ever tried to pair pop music with country and for that she should be worshiped. Maybe you’re really in love with her and can’t see past her shallow lifestyle. Maybe she’s actually a wonderful person and I’m wrong. (I mean that- I could be way off.) I. DON’T. CARE.